Valerian and the City of a Thousand Planets is overstuffed, overlong, and overblown. 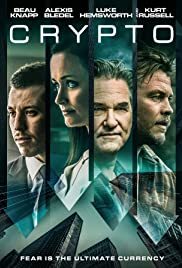 It readily checks in as my latest review. 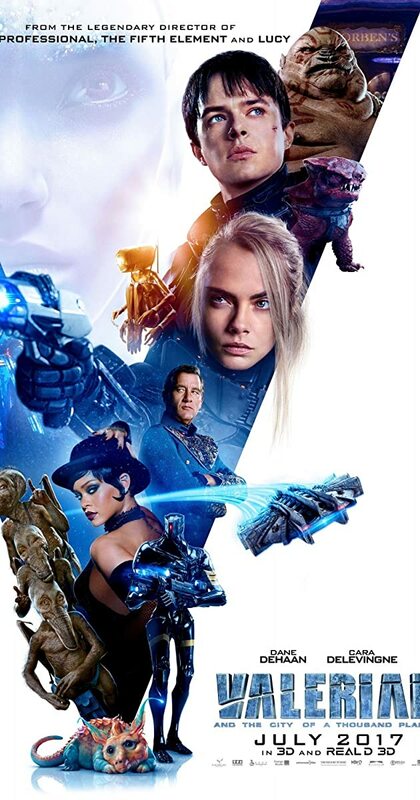 Basically "Valerian" has enough vivid hues and elements of sci-fi gimmickry to fill a "thousand" movies. Sadly, it is also the most misguided and pretentious science fiction endeavor since 2015's Tomorrowland. Listen, the two flicks aren't identical but they share the same aura of being clunky. In my review of Tomorrowland, I referred to George Clooney's latest as "the Tinkertoy" movie. Valerian and the City of a Thousand Planets could easily be called the cinematic equivalent of a Candy Land board game. Just imagine an alternate version of Avatar combined with a bad Star Wars prequel. Then have it take place hundreds of years in the future with a severe weirdness factor attached. That's what you get with "Valerian". The director of Valerian and the City of a Thousand Planets is Frenchman Luc Besson. Luc is no doubt a visionary filmmaker. With "Valerian" however, he tries too hard to secure his vision. He forgets that story-line, proper casting, and continuity matter just as much. Besson's visual style is apparently everything or I guess, the only thing. It's sumptuous yet purposeless. The effects just sit there, lying on a shelf. They are made to be seen but have no baring on "Valerian's" actual spiel. Out of "Valerian's" unnecessary 137-minute running time, there's about an hour where you don't know what the heck is going on. It's pretty much plot-free material. And in between the splashy cinematography by Thierry Arbogast, you the viewer have to listen to truly painful dialogue exchanges between the actors. In addition to trivial cameos by Ethan Hawke and Rutger Hauer, you get to hear co-star Cara Delevingne constantly growl and pout. Then in "Valerian", you get a dose of pop star Rihanna playing an exotic dancer who sounds like she's literally reading from cue cards. Finally, you're saddled with lead Dane DeHaan. He may have been solid in The Amazing Spider-Man 2 but here he comes off like the poor man's Leonardo DiCaprio. Let's face it, Dane is a little too scrawny and dry to be a credible action hero. In conclusion, "Valerian" at a budget of $180 million, might be the most futuristic vehicle ever made. And at the same time, it is virtually non-core (that's not a good thing). The best way to enjoy "Valerian" is to see it on the biggest screen possible or in 3D. Stay for gnarly images and try to ignore everything else. Bottom line: Valerian and the City of a Thousand Planets is 45% soulless and 45% cheesy. The other 10% is when the film has its moments which are few and far between. Rating: 2 stars.